Wyoming – First state to file firm mobility legislation in 2019. 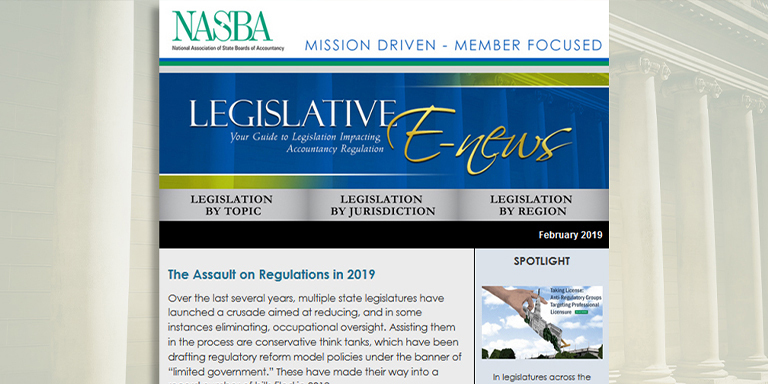 Definition of “attest” legislation active in 2019 in Hawaii, New Jersey, South Dakota and Wyoming. Individual mobility legislation filed in Hawaii. CPA firm ownership legislation filed in New York.